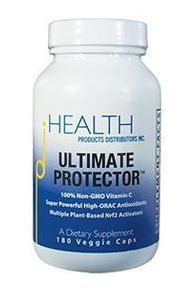 People who have PMS report that their symptoms have decreased after taking an Nrf2 activator. Following the testimonials are current research articles that report new information about the cause of PMS and how Nrf2 activators can be effective in treating it at the cellular level where it starts. Angela: "I'd been a PMS sufferer for over 10 years. For me that meant 4 or 5 days every month before my period. I would just be kind of a crazy person. I would suddenly be extremely moody. I would get into fights with people. I would feel like I was risking my job because I just wasn't as clear headed or level or sane as I needed to be. My household was not too happy having to go through this with me every month, and I was basically desperate to try anything. I took B vitamins. I took various herbal remedies that they prescribed. I cut my sugar and my caffeine, and I just wasn't seeing a lot of results. So I just kind of resolved myself to live with it. I started taking Protandim, and I didn't really expect that I would see immediate results, but I did. A month into taking Protandim - no PMS. It was just gone. That was just like a miracle to me. I have been taking it for several months now, and it hasn't come back. I'm basically now an ex-PMS sufferer. I can't tell you how happy that makes me, and how wonderful it is just to live a normal live and not plan my vacations and anything else in my life around my menstrual cycle. It's just amazing." youtube.com, search "Protandim"
Jann Estigoy: "I've taken Protandim for about three and a half months. Prior to that I had debilitating PMS. I had perimenopausal symptoms, hot flashes, night sweats and my hair was falling out. I would take a shower and handfuls of my hair would fall out. After about two months of taking Protandim my PMS symptoms were completely gone, and I haven't had any hot flashes or night sweats. My hair is not only not falling out, it's growing like crazy. My hair and my nails are growing twice as fast as they were before. I'm sleeping all the way through the night, and I have more energy than I've ever had, and I'm in my forties." youtube.com, search "Protandim"
J Obstet Gynaecol. 2015 Feb;35(2):188-92. doi: 10.3109/01443615.2014.948399. Epub 2014 Aug 11. Serum oxidative stress, visfatin and apelin in healthy women and those with premenstrual syndrome. Incebiyik A1, Camuzcuoglu A, Hilali NG, Ulas T, Vural M, Camuzcuoglu H, Aksoy N.
Abstract The aim of this study was to investigate whether there is a relationship between premenstrual syndrome and oxidative stress, visfatin and apelin. The study included 40 women with premenstrual syndrome and 40 healthy women. In all subjects, serum visfatin, apelin and oxidative stress parameters were studied in venous blood samples. The oxidative stress parameters were higher in the premenstrual syndrome group than among the controls, but this difference did not reach statistical significance (p > 0.05). It was found that total antioxidant capacity was similar in both groups. For the insulin-serotonin cycle markers, no significant difference was found between groups in terms of visfatin level (p = 0.893), although apelin was found to be significantly higher in the premenstrual syndrome group when compared with the controls (p < 0.001). According to our results, apelin can be used as an ancillary laboratory test in the diagnosis of premenstrual syndrome. Arch Gynecol Obstet. 2011 Feb;283(2):299-304. doi: 10.1007/s00404-009-1347-y. Epub 2010 Jan 19. Oxidant/antioxidant status in premenstrual syndrome. Duvan CI1, Cumaoglu A, Turhan NO, Karasu C, Kafali H.
To investigate oxidant/antioxidant status in premenstrual syndrome (PMS). Study group (n = 20) consisted of PMS and control group (n = 21) consisted of normal menstruating women. The serum oxidant status was assessed by the lipid hydroperoxide (LHP), malondialdehyde (MDA) and protein carbonyl (PC); the antioxidant status was assessed by the total thiol (T-SH) and total antioxidant capacity (TAC). The study and control groups revealed no statistical difference, in terms of day 3 LHP, MDA, PC, T-SH and TAC levels. There were no significant differences between groups in terms of day 21 MDA, PC and T-SH levels. However, day 21 LHP levels were increased and TAC levels were decreased in the study group compared with the control group. Increased oxidative stress and reduced antioxidant capacity may occur in PMS. It can be speculated that the imbalance of oxidant/antioxidant systems may be a cause or the consequence of the various stress symptoms in PMS.